Brett McGurk submits resignation following Trump's decision to pull US forces out of Syria. 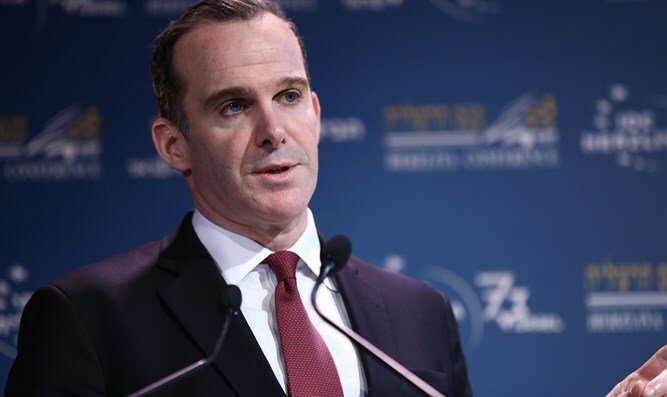 Brett McGurk, US President Donald Trump’s special envoy for the global coalition to counter the Islamic State (ISIS), submitted his resignation following Trump's decision to pull US forces out of Syria, two senior officials and several sources familiar with his thinking told CNN on Saturday. According to the sources, McGurk’s resignation came on Friday. He had previously said privately that he was going to leave the administration in February of next year. A State Department official told CNN that McGurk had informed Secretary of State Mike Pompeo on Friday that he was resigning, effective December 31. CBS News was the first to report the news of McGurk's resignation, which came one day after Defense Secretary James Mattis resigned, also in part due to the Syria decision. McGurk was in Iraq meeting with senior leaders when Trump tweeted out the decision to withdraw from Syria. Sources familiar with the matter told CNN McGurk was frustrated over Trump's sudden announcement, which was the opposite of the strategy he had just been briefing coalition partners on while in the region: to stay in Syria, fight ISIS and counter Iran. According to the sources, McGurk viewed the Syria decision as reckless and couldn't defend it, let alone execute it. He felt his integrity and his credibility were on the line, the sources told CNN. A senior administration official downplayed the move, calling McGurk "an architect of Obama's failed Iran deal," who "was already scheduled to depart from his role in January." A report on Friday said Trump’s decision to withdraw American troops from Syria was made hastily, without consulting his national security team or allies, and over strong objections from virtually everyone involved in the fight against ISIS. On Saturday, Trump issued another tweet explaining his Syrian withdrawal strategy. "When I became President, ISIS was going wild. Now ISIS is largely defeated and other local countries, including Turkey, should be able to easily take care of whatever remains. We’re coming home!" he added.